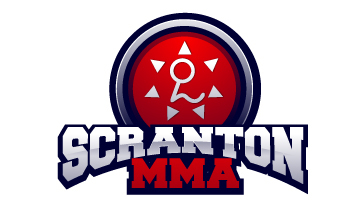 Are you sore after one of your Scranton MMA training sessions? There a two important and simple things you can do to help your body recover faster from your intense training! According to most sports science studies the two most important meals of the day are your pre and post-workout meals. Getting some extra liquid, carbohydrates and protein into your body shortly BEFORE a workout allows you to train harder, longer, and minimizes muscle damage and compromise to your immune system during your workout. Eating or drinking within 45 minutes AFTER exercise actually helps heal your body, builds new muscle, and replenishes your body’s energy stores so that you’ll feel fresh for your next workout. Lack of proper postworkout nutrition is a huge contributing factor in overtraining. If you often feel like a stumbling zombie for 24 hours after intense training then the first thing you should try is making sure that you get good nutrition into your body soon after the training stops. If you’re doing multiple workouts in a day then then postworkout nutrition is often the only thing between you and total system breakdown. It is important that your post-workout meal be consumed soon after your workout (within 45 minutes). After training your body experiences an ‘anabolic window’, during which the cells of your body are especially able to absorb and use nutrients. This window starts to close soon after you stop training, so it is better to get something into your belly fast rather than waiting and having the perfect meal two hours later. These formulations have a lot of carbohydrates, and that’s not random or accidental. Many athletes are so fixated on protein that they overlook carbohydrates, but carbs help replenish your body’s energy supplies AND have stimulate your body to build more muscle. If you have to choose between a postworkout meal consisting either of carbs or protein go with the carbohydrates every time (but obviously having a mix of protein and carbohydrate is the best). A cheaper alternative is to buy bulk powdered sportsdrink (Gatorade, Powerade, etc), maltodextrin (an easily absorbed carbohydrate) and protein powder (whey, hemp, egg, etc.). Play mad scientist, mixing up different concoctions using water or diluted fruit juice as a base until you find a mixture with flavor and consistency that you like. Feel free to experiment! The bottom line is to try and get something into your belly immediately before and immediately after exercise. If all you can get your hands on is a small bottle of Powerade or Gatorade then that is still way better than having nothing at all. Please note a lot of chemistry and physiology have been skipped over here: if you want to know more about these topics check out just about any sports nutrition book.